As CEO, David is responsible for all day-to-day management decisions and for implementing PACT’s strategic vision, including long and short-term plans. David acts as a liaison between the PACT Board of Directors and its sister management company, PACT MSO. David graduated from Yale University, attended Albert Einstein College of Medicine and completed his Internal Medicine residency and Nephrology fellowship at Yale-New Haven Hospital. 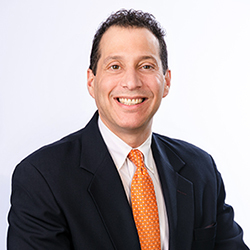 After serving five years on the Yale University School of Medicine faculty, David has spent the last 16 years of his career in private practice Nephrology in the greater New Haven area. 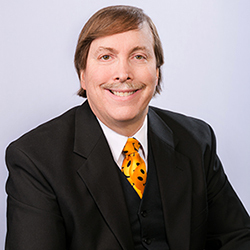 Leveraging management skills and entrepreneurial experience learned from creating a new Nephrology practice with four office locations as well as opening four new dialysis centers, David joined a group of physicians in 2011 to create PACT and PACT MSO. As chairman of the board, Mark spearheads recruitment and strategic planning for growth of the organization. PACT was born from Mark’s vision five years ago and brought to life with PACT’s leadership to create an organization in which physicians across specialties could unite in order to preserve private practice in our community. PACT and PACT MSO opened its doors in the fall of 2013 and in 2015 opened the PACT Lab. He is working on other potential ancillary services. Mark graduated from the University of Rochester and simultaneously obtained a master’s degree in gerontology from the University of Chicago. He attended medical school at Tufts University, did his residency in internal medicine at the University of Chicago’s Michael Reese Hospital and completed his gastroenterology training at Harvard Medical School’s Beth Israel Hospital. He’s been a practicing gastroenterologist in this community for more than 25 years. After spending eight years as a gastroenterologist in this community, Mark asked two other gastroenterologists to join him in a new venture, and together in 1997 they started Gastroenterology Center of Connecticut (GCC) in Hamden. This was soon followed by the Endoscopy Centers of Connecticut in Hamden; and then in Guilford, the Medical Research Center of Connecticut, Pathology, Celiac and Liver centers. GCC now has offices in Hamden, Milford and Guilford. Mark is the editor-in-chief of two major gastroenterology textbooks: Gastrointestinal Emergencies Volume I, published in 1992, and Volume II, which was published in 1997 and translated into Chinese. These textbooks are still used by many of the leading fellowship programs in United States. Mark is proud of being elected by his peer physicians as a Connecticut Magazine Top Doc for eight consecutive years. He was also named as a Connecticut Best Doctor for 21 consecutive years. He is former chief of gastroenterology at Milford Hospital, a former managing partner of GCC, and he now serves on the executive governing board of the practice. Mark is proud of the work done by the PACT leadership and its board of directors who give generously of their time and talents to keep PACT growing and staying current with the ever-changing medical landscape. As COO, Yvette manages day-to-day operations at PACT, where her responsibilities include improving operational efficiencies and supporting medical practices through networking, systems integration and electronic medical recording. 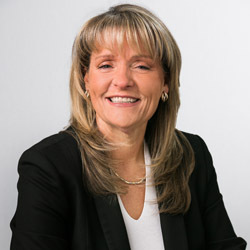 Yvette’s healthcare industry career spans more than 20 years, with extensive experience in operations, strategic planning, human resource management, financial management and credentialing. Prior to working at PACT, she served as Director of Operations at RR Health Strategies and previously was the VP of Practice Management/Compliance and Coding and the Compliance Officer at MDeverywhere, Inc. Yvette holds a Doctor of Medicine degree from the Universidad Central del Este in the Dominican Republic. Deron joined PACT MSO in 2018 and oversees the accounting and finance aspects of the organization. His 20+ years of experience in financial leadership has been primarily in the healthcare industry, including independent medical groups and larger health systems. Deron earned his Bachelor of Science Degree in Accounting and his Master of Business Administration, both from York College in southern Pennsylvania. In addition to accounting and finance responsibilities, he has particular interests in strategy development and revenue cycle management. His achievements prior to joining PACT include playing a significant role in a strategic merger and revamping a medical group revenue cycle. Deron lives in Guilford with his wife Lisa and two children.